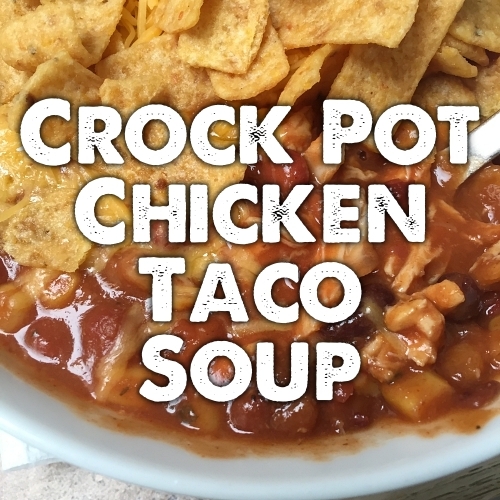 This is really hearty and a great soup for a cold day! 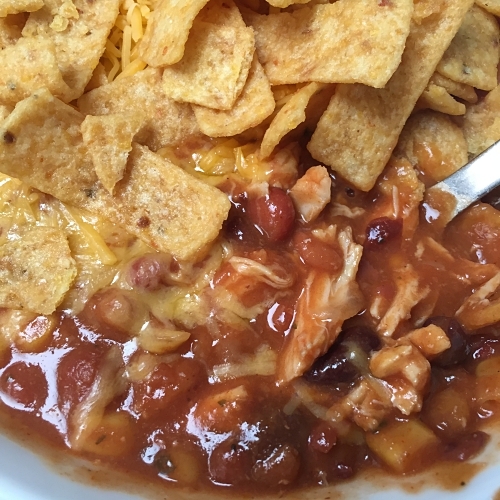 It's pretty thick, and could almost pass for chili or stew. It's LOADED with fiber. The refried beans make the soup really thick and velvety. This is super easy to just throw together in the morning. Combine everything in the slow cooker (don't drain any of the beans). Cook on low for 8 hours, or high for about 5 or 6 hours. Using two forks, shred the chicken and stir before serving. 6 servings.